Browse: Home / 2015 / May / 06 / Come Raise a Glass to Celebrate Community Radio! 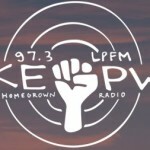 Eugene PeaceWorks is working to bring KEPW-LP 97.3, a real community radio station to Eugene! Occupy Eugene sincerely supports this effort because independent media is so important in an era where we receive our news more and more based on corporate interests. PeaceWorks just got word from the FCC that they have been granted an 18 month extension on their construction permit, which means they have enough time to fund raise to buy necessary equipment. Today from 11 am to 10 pm at Oakshire Public House at 207 Madison St. $1 of every beer served all day will help launch Eugene’s first grassroots community radio station. There will be a EPW/KEPW table and live music in the evening provided Alder Street and The Slumps starting at 5. If you can’t attend but want to donate, call their office at 541-343-8548.